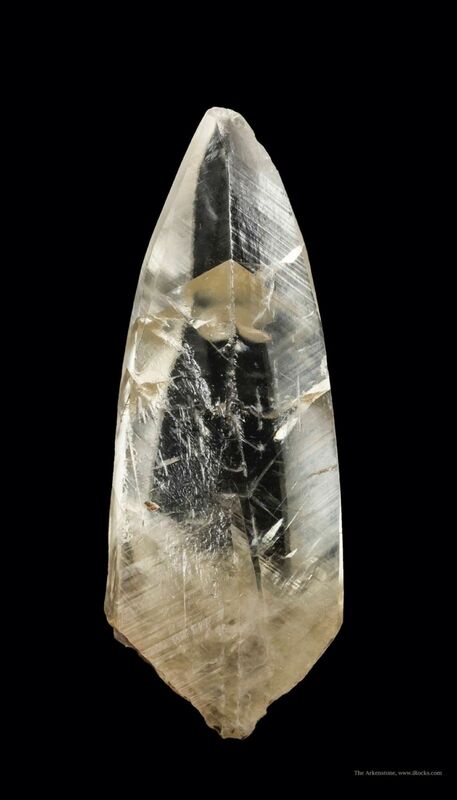 I have followed this find since I was a kid in the Midwest, and I was able to obtain a single thumbnail specimen from this infamous pocket when it was collected in the mid 1980s-I think I paid $40 for a 1 cm crystal then! 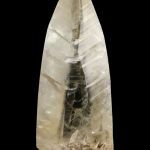 I have only EVER seen 4 of them for sale and another in the Seaman Museum. 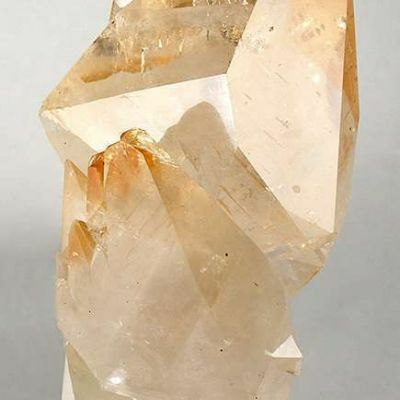 These are the only sharp, gemmy scalenohedrons found in the modern era in this old district, and it seems a freak find of just this pocket. 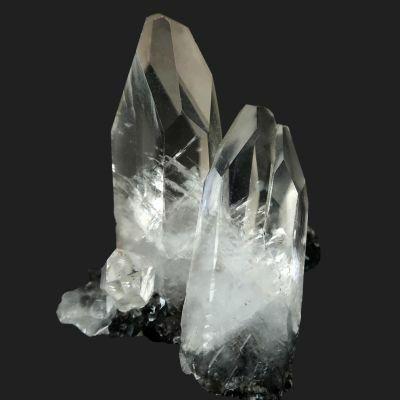 Unless you had a label, there is no way you would believe these to be from the USA as opposed to England! 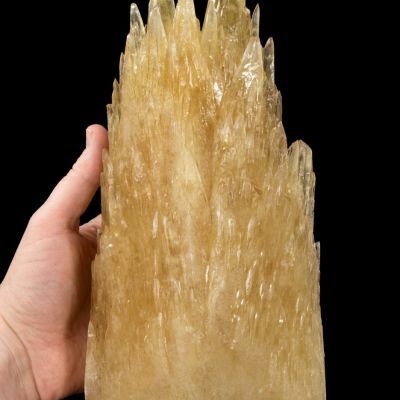 This piece is the largest I have ever seen. 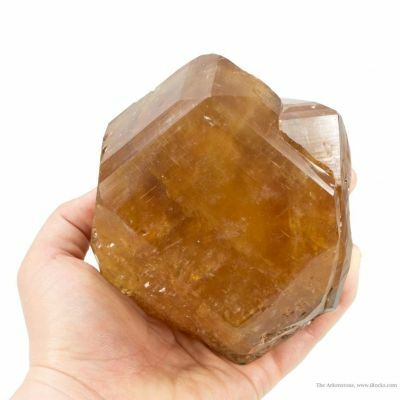 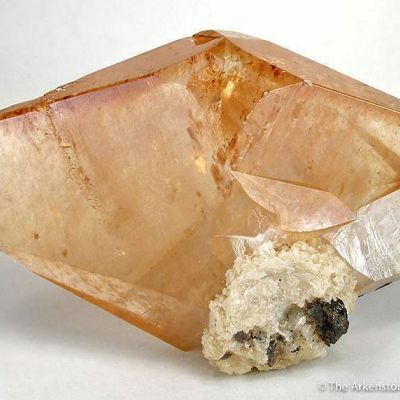 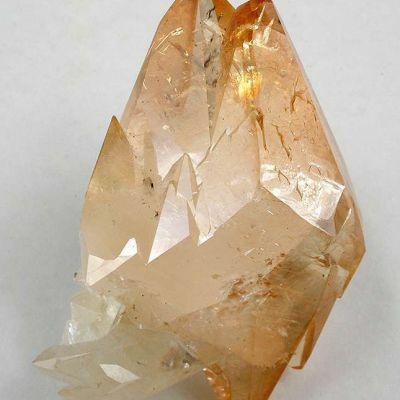 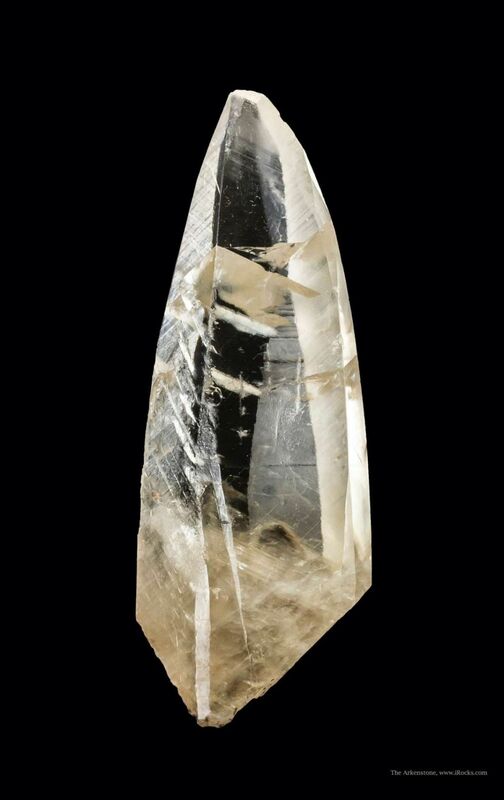 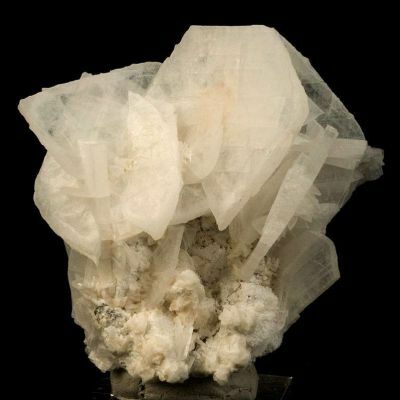 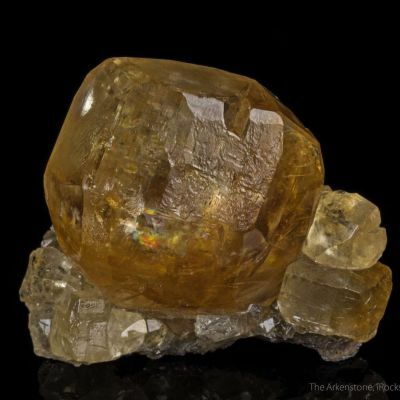 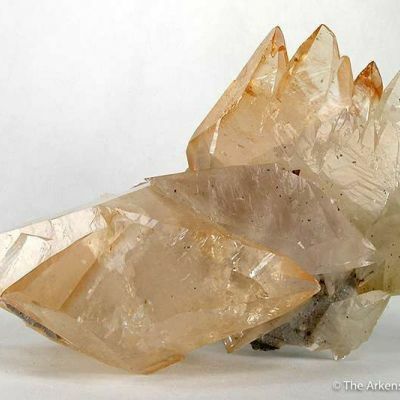 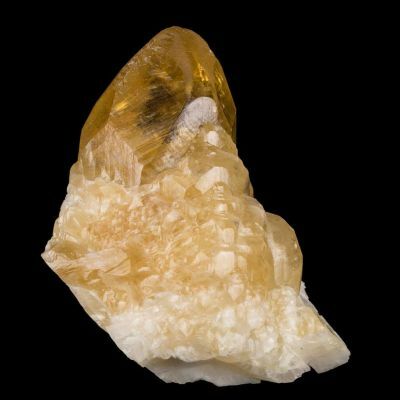 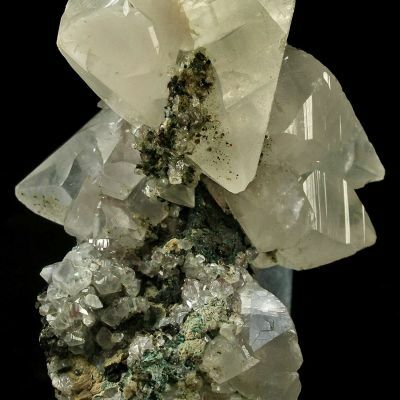 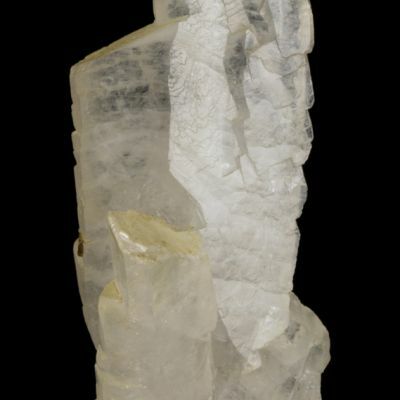 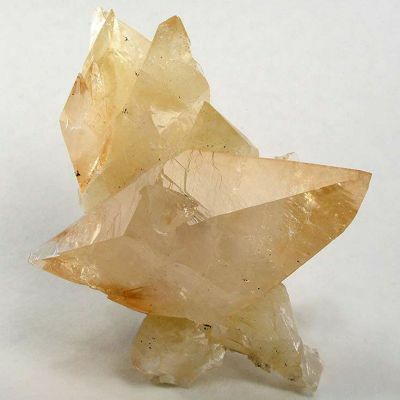 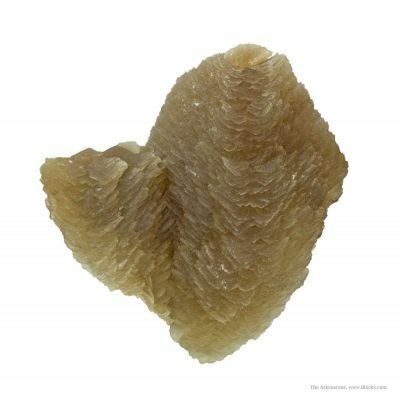 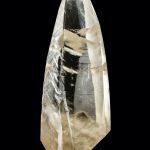 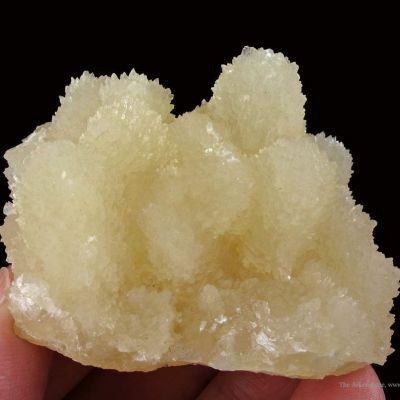 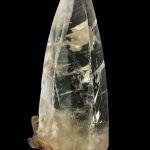 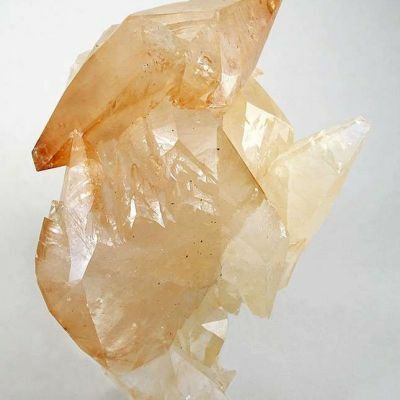 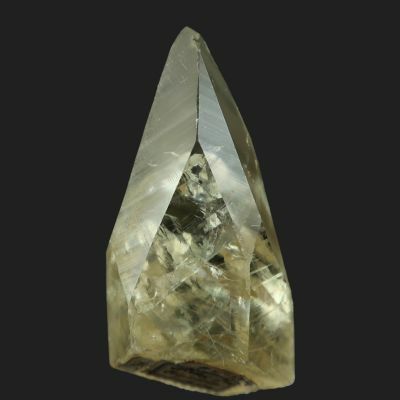 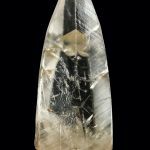 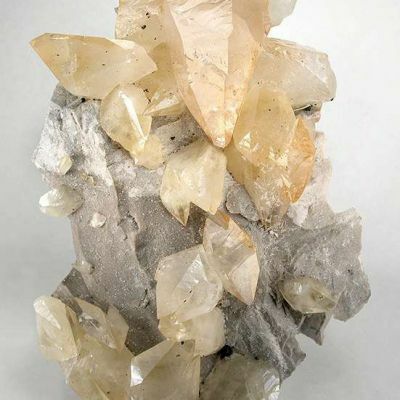 Sitting on a bit of matrix is a glorious, tapered, glassy and gemmy, colorless calcite crystal. 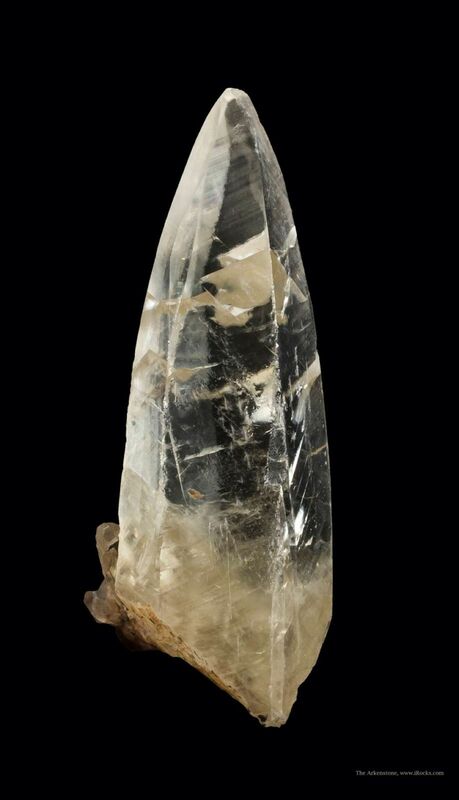 One side exhibits a most visual and eye pleasing effect, where two faces have formed a subtle hourglass figure. 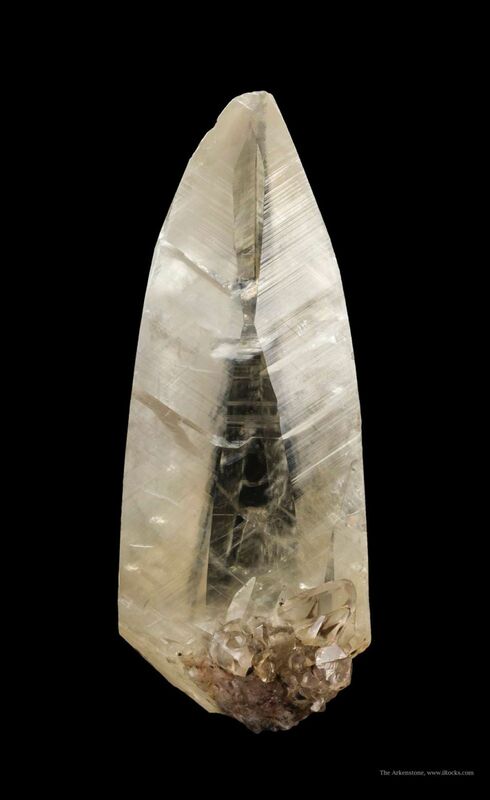 This is surely one of the nicest upper-Michigan calcites, even though there is a tiny cleave at the termination. 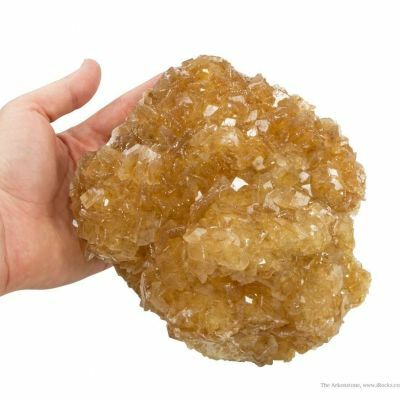 But considering its rarity, I can accept that. 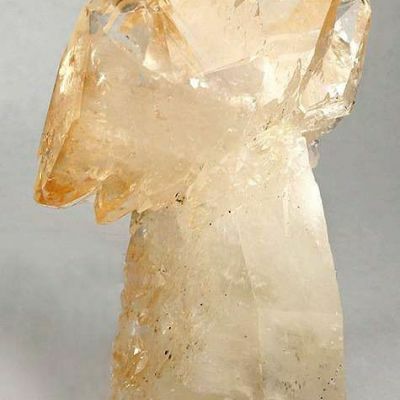 This was one of the most expensive calcite specimens I ever bought at the time, back when I bought it for my own old calcite collection (in the early 1990s) .